*Make sure you check yes to “save credit card info”, this will keep it on file for the night of the Auction to help with a smoother check in / checkout process. Please remember that checks are always preferred as they save the club money on credit card fees. Grab a sombrero and get ready for a fiesta! 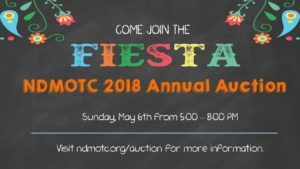 This year’s auction will feature a Cinco De Mayo theme at a local Mexican restaurant. The menu will include fajitas, beans, rice, chips and salsa. Drinks will be available at happy hour prices! Yay! The auction benefits the North Dallas Mothers of Twins Club in many ways. These funds help us provide activities for our members as well as their families, and also help us to provide outreach services for those in need. A portion of the proceeds will also go to benefit the Texas Scottish Rite Hospital for Children (TSRHC.) The North Dallas Mothers of Twins Club has donated to this Dallas-based hospital for many years because TSRHC is a world leader in the treatment of pediatric orthopedic conditions such as scoliosis, clubfoot, hand disorders, hip disorders and limb length differences, as well as sports injuries, and related neurological disorders and learning disorders. It’s a great cause and we are proud to be able to support them! Interested in the types of items that will be at this years auction? Sponsors, Advertisers, Volunteers, & Auction Items are Needed and Appreciated! Registration & Solicitation – Don’t forget your Auction Solicitation Letter! Give, fax, or mail a copy of this letter to potential auction donors; includes a receipt for tax purposes. Contact our auction chair at auction@ndmotc.org.